Turn your oven on and preheat it to 250 degrees. Pat the wings dry, placing them in a large mixing bowl afterwards. Add the baking powder and the seasonings (garlic powder-pepper), tossing the wings to coat them in the mixture. Take a greased baking sheet* and place the wings on it, letting it cook for 30 minutes. Pull the sheet out of the oven and flip the wings over. Turn the heat up to 425 degrees. Place the chicken wings back in the oven to cook for another 30 minutes or until they’re fully cooked and crispy. If you’d like your chicken wings even crispier, you could place them under the broiler for a few minutes (we didn’t broil our wings). When the wings are close to being done cooking, take a saucepan out and add to it the pepper jam, agave nectar, butter, 2 minced habaneros and the dash of salt. Heat the mixture up just enough for everything to combine and is easily pourable. Place the wings in a large mixing bowl, pouring the jam mixture over the wings afterwards, tossing to ensure the wings are fully coated in the jam mixture. 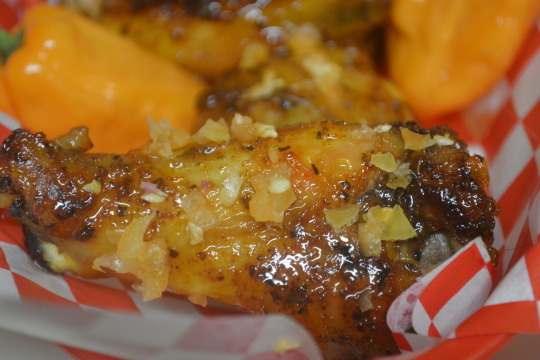 Sprinkle the remaining minced habanero over the wings and eat immediately ! *We lined our baking sheet with aluminum foil and then sprayed the foil with nonstick cooking spray. 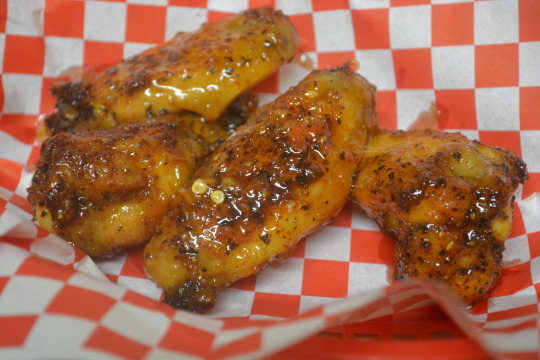 These wings were addictively delicious ! 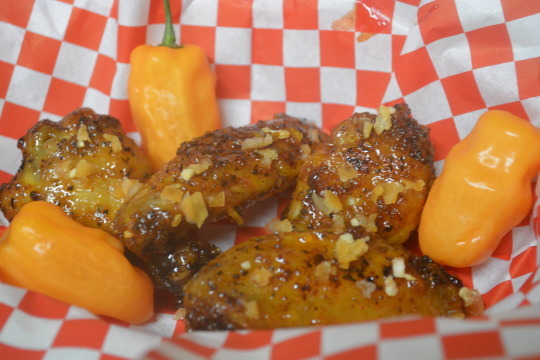 We tried the wings without the minced habanero and they had some heat but not nearly as much as we were expecting. 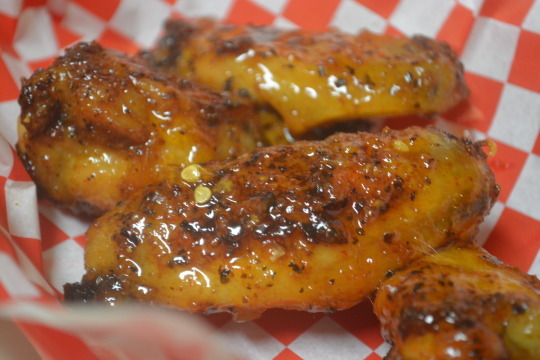 We tasted the sweetness from the jam and agave nectar more than the heat in some bites but once we added the minced habanero onto the wings that helped bring more heat to each bite. We hope you enjoy them as much as we did ! We weren’t paid in any form to promote Braswell’s or Chile Pepper magazine.